Both lining and fabric samples can be ordered free of charge online and we strongly advise that you order samples of your chosen fabric and lining before placing your order to make sure you are happy with both. You can order up to 8 samples. As these products are made to measure, they cannot be returned unless there is a manufacturing fault. Colour variations are possible due to different monitors, so please make sure you are happy with the colour and texture of your chosen fabric and lining before placing your order, as colour is not a valid reason for returning the goods. Samples are available for all curtain, blind and lining fabrics. Most fabrics are sent as individual samples, approximately 14cm x 20cm in size. All wood samples are shown on a single sample card. 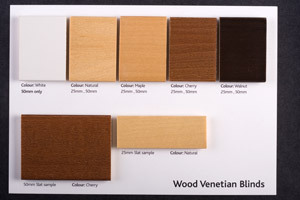 Venetian blinds samples are available in on a series of cards, each showing a range of colours (e.g. Blue, Charcoal/Black, Cream, Gold/Brown. Green, Grey/Silver, Pink/Red, White, Yellow/Terracotta). 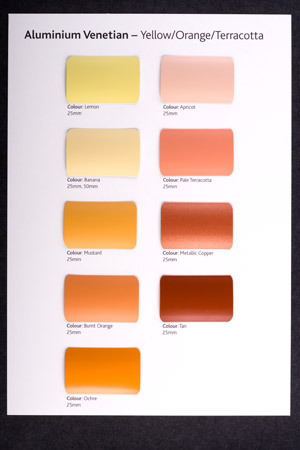 WE RECOMMEND THAT A SAMPLE IS ALWAYS ORDERED TO ENSURE THE COLOUR AND TEXTURE ARE TO YOUR LIKING AS COMPUTER MONITORS VARY GREATLY IN COLOUR AND SHADE REPRESENTATION.